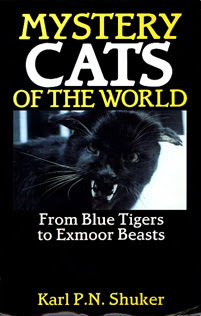 Mystery Cats of the World: From Blue Tigers to Exmoor Beasts (Robert Hale: London, 1989; ISBN 0-7090-3706-6). With a foreword by Paul and Lena Bottriell. Hb, 256 pp, b/w pics, refs, glossary, index. Black panther-like beasts stalking Exmoor, blue-furred tigers in China, pumas in Australia, majestically maned lions prowling across North America. In this authoritative study, the first full-length examination of the mystery cat phenomenon, Dr. Karl P.N. Shuker tests these eyewitness claims against the commonly held 'truths' of natural history. What are the enigmatic cat-like animals that have been glimpsed in wild and lonely areas of the world? Are they exotic wild animals that have escaped from captivity, or nothing more than common creatures improperly observed - feral domestic cats, perhaps? Or could some be genuinely elusive cat forms still unknown to science or supposedly long extinct? The author has sifted all of the available source material, acquired from investigations in the field and careful surveys of the printed evidence (including much material unpublished or unavailable in English). According to scientific conventions, the mystery cats cannot exist; but they are attracting increasing attention from natural historians and the public worldwide. Out of the controversy, Dr. Shuker has produced an expert guide to a host of fascinating felids that may well prove to be among tomorrow's most exciting zoological discoveries. "This thoughtful work of scholarship by Karl Shuker is an ideal book with which to enter the 1990s; he has performed an admirable service. As the century pitches inexorably towards the year 2000, humankind's awareness of the world's environment has taken a dramatic leap forward...It's here this exemplary treatise best sits; an intelligent study of a neglected subject that doesn't sensationalize information to fit personal theories. With an investigative, systematic flow of research details, Karl Shuker reviews his data critically and constructively, leaving room for readers to add their own analysis, and by extension, follow up research and fieldwork. Equally worthy is an attractive, uncomplicated style which makes it an enjoyable read, and thus as accessible to laymen as to zoologists. In Mystery Cats of the World, Karl Shuker treads worthily in the footsteps of Bernard Heuvelmans. As a reliable, up-to-date reference, this is a book that both professionals and amateurs should carry in their hip pockets. Perhaps a sequel on another group of mysterious animals may be forthcoming from the author in the not-too-distant future. We avidly await it." Paul and Lena Bottriell, quoted from their foreword to this book. "A book for lovers of the fantastic, for travellers, and for reference libraries." Doris Lessing - Daily Telegraph (London), 25 November 1989. "Let me say immediately that this is one of the most fascinating books that I have read for many a long day. The author is not a sentimental mythologist but a hard headed zoologist and a notable authority on cryptozoology." Roy Robinson - Cats, 15 December 1989. "There is some eye-opening evidence in this entertaining and informative book." The Good Book Guide, May/June 1990. "A thorough and well-documented survey of felid cryptozoology by a zoologist... One of the better volumes to appear in many years." J. Richard Greenwell, ISC Newsletter, Spring 1991. "Karl Shuker... surveys the world for reports of undescribed cat-like animals, turning up a remarkable array. It is a fascinating list, made immeasurably more authoritative by the author's calm approach... there are none of the sarcastic remarks about experts ignoring the obvious, attended by rhetorical questions, that have characterised so many previous books on cryptozoology. 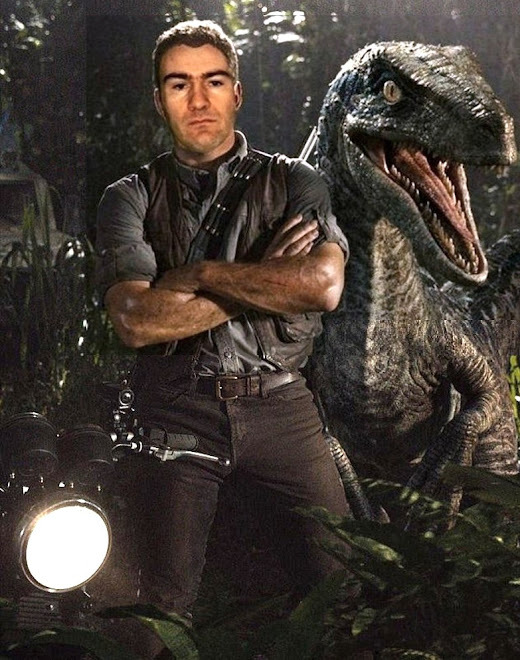 Shuker is, in fact, a trained zoologist himself." Professor Colin P. Groves, Cryptozoology, 1992. Karl I know where there is a mound with some gnomes living in it. 40km from machu picchu. I am looking for help setting up a camera trap and possible sacred plant ceremonies.